What follows is a collection of quotes from Watchtower Society literature.This information will help you understand the development of the blood doctrine, and document the many changes in policy through the years. Quotes are presented in chronological order. Our editorial comments are in red. Vaccines are useless, poisonous, a violation of God’s law, and a tool of the Devil. “ON READING a report in The Golden Age that seventy percent of New York’s children are defective, and eighty-five percent of Chicago’s children, we must all realize that this terrible condition is only of very recent years. How can it be otherwise? The streets are just lined with M.D. poison squirters. They are seen everywhere with grips full of the most deadly poisons and needles for injecting them. This they do to every child they can corner. “…the vaccination law reduces the father and mother to mere slavery, almost as bad as the colored people were in, when their children were put up on the block and sold. In many slave-sale cases the mother and father were even forbidden to shed tears. A CERTAIN “health” commissioner offered the suggestion a short time ago that no mother could give her child a better present for “Christmas” than diphtheria immunization, meaning an injection of filthy and poisonous serum. “Many mothers don’t sell the milk that the nature gave them for their children, do they? For this reason we should not admire those who trade with their blood. After Landsteiner’s discoveries, special entities have been formed that provide blood for necessary transfusions. Only those have the luxury [to give blood] that belong to the group O (zero), because, as has already been said, their blood is compatible to all humans. From statistics we see that in 1929, 7,000 persons sold blood in the hospitals of the United States, [in resonse to] calls in urgent cases and that they saved the lives of many people that had lost their own blood for one cause or another. No venden muchas madres la leche que la naturaleza les dió para sus hijos? Por esto no debe admirarnos que haya quienes comercien con su sangre. Después de los descubrimientos de Landsteiner se han formado entidades especiales que proporcionan sangre para las transfusiones necesarias. Sólo pueden permitirse este lujo las personas que pertenecen al grupo O (cero), por ser, como ya dijimos, su sangre inofensiva para todos los humanos. De una estadística vemos que en 1929 véndieron sangre, en los hospitales de los Estados Unidos, 7,000 personas, llamadas en casos urgentes y que salvaron la vida de muchas personas que por una u otra causa habian perdido su propia sangre. – Consolation 09/1945 p. 29 (Dutch ed.) – Emphasis added. “Is vaccination a violation of God’s law forbidding the taking of blood into the system? – G. C., North Carolina. Blood serums are wrong, same category as blood transfusions. Blood fractions and Albumin are wrong. – Awake! 09/08/1956 p. 20 Emphasis added. Blood fractions and serums are now OK.
“Are we to consider the injection of serums such as diphtheria toxin antitoxin and blood fractions such as gamma globulin into the blood stream, for the purpose of building up resistance to disease by means of antibodies, the same as the drinking of blood or the taking of blood or blood plasma by means of transfusions? – N.P., United States. 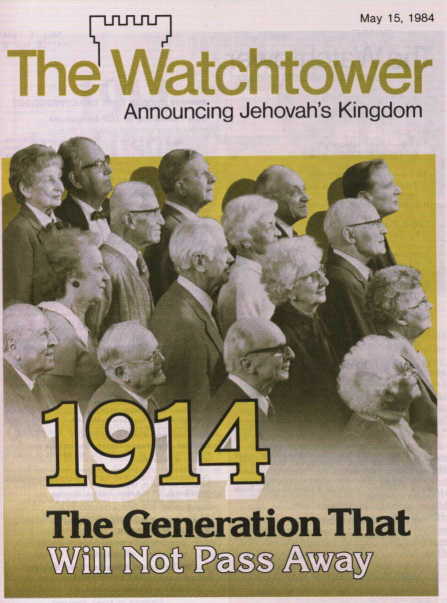 – The Watchtower 09/15/1958 p. 575 Emphasis added. Even a brief storing of one’s blood is a scriptural violation. 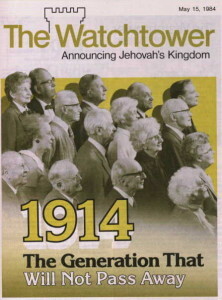 – The Watchtower 10/15/1959 p. 640 Emphasis added. The receiver of a blood transfusion must be cut off. “In view of the seriousness of taking blood into the human system by a transfusion, would violation of the Holy Scriptures in this regard subject the dedicated, baptized receiver of blood transfusion to being disfellowshiped from the Christian congregation? Blood components (fractions) once again wrong. Blood substances and momentary storage are wrong. Watchtower better qualified than doctors to give medical advice. Witness parents indoctrinated and made fearful. God uses the Watchtower to deliver death penalty warning. Blood components (fractions) are still wrong. Be afraid of blood. Be very afraid. Vaccines are an acceptable contamination, blood fractions are wrong, substances made with blood might be OK.
“Since the Bible forbids the eating of blood, how are Christians to view the use of serums and vaccines? Has the Society changed its viewpoint on this? – J. D., U.S.A. The Bible is very clear that blood could properly be used only on the altar; otherwise it was to be poured out on the ground. (Lev. 17:11 – 13) The entire modern medical practice involving the use of blood is objectionable from the Christian standpoint. Therefore the taking of a blood transfusion, or, in lieu of that, the infusing of some blood fraction to sustain one’s life is wrong. As to the use of vaccines and other substances that may in some way involve the use of blood in their preparation, it should not be concluded that the Watch Tower Society endorses these and says that the practice is right and proper. However, vaccination is a virtually unavoidable practice in many segments of modern society, and the Christian may find some comfort under the circumstances in the fact that this use is not in actuality a feeding or nourishing process, which was specifically forbidden when that man was not to eat blood, but it is a contamination of the human system. So, as was stated in The Watchtower of September 15, 1958, page 575, “It would therefore be a matter of individual judgment whether one accepted such types of medication or not.” That is still the Society’s viewpoint on the matter. – Gal. 6:5. Another reversal – All blood products are wrong. A softer position on blood serums. Vaccines a personal decision, not contamination. “Is there any Scriptural objection to donating one’s body for use in medical research or to accepting organs for transplant from such a source? – W. L., U.S.A.
Parent’s must prevent blood transfusions. – Awake 4/8/72 29-30 Watching the World – Emphasis added. 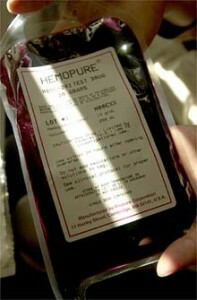 An even softer position on Blood serums. Now a matter for personal decision. Hemophilia treatments (Factor VII & IX) are wrong! Blood transfusions are organ transplants. All Blood serums are a matter of personal decision! Hemophilia treatments (Factor VII & IX) are OK.
“Are serum injections compatible with Christian belief? Organ Transplants are no longer Cannibalism! “Should congregation action be taken if a baptized Christian accepts a human organ transplant, such as a cornea or a kidney? Albumin is now OK, if you’re reading close. The battle cry remains the same. Hemophiliac treatments require lots of stored blood. Brief storage of blood outside the body is now OK, and so is Hemodilution! “Do Jehovah’s Witnesses allow the use of autologous blood (Autotransfusion), such as by having their own blood stored and later put back into them? This clearly rules out one common use of autologous blood – preoperative collection, storage, and later infusion of a patient’s own blood….Jehovah’s Witnesses, though, DO NOT accept this procedure….In a somewhat different process, autologous blood can be diverted from a patient to a hemodialysis device (artificial kidney) or a heart – lung pump. The blood flows out through a tube to the artificial organ that pumps and filters (or oxygenates) it, and then it returns to the patient’s circulatory system . Some Christians have permitted this if the equipment is not primed with stored blood….What, though, if the flow of such autologous blood stopped briefly, such as if a heart – lung machine is shut down while the surgeon checks the integrity of coronary – bypass grafts?…a Christian having to decide whether to permit his blood to be diverted through some external device ought to focus, not primarily on whether a brief interruption in flow might occur, but on whether he conscientiously felt that the diverted blood would still be part of his circulatory system. Satan wants us to have blood. The writer/editor of the blood brochure seems to not be aware that intraopertive collection and induced hemodilution is now OK.
– How Can Blood Save Your Life?, 1990, p. 27 Emphasis added. “Is the RhIG shot made from blood? Yes. The antibodies that make up the shot are harvested from the blood of individuals who have become immunized or sensitized to the Rh factor…. .Genetically-engineered RhIG not derived from blood may become available in the future. Can the Christian conscientiously take RhIG? Call it an injection, but make no mistake, it’s a transfusion. Some autologous blood transfusions spoken of positively. “Do Jehovah’s Witnesses accept any medical products derived from blood? To the casual reader it would appear that nothing has changed with this article. That “Christians”, meaning Jehovah’s Witnesses, have always had a conscientious free choice regarding blood fractions. Obviously, the earlier quotes paint a very different picture. It is in just this manner the Watchtower Society generally announces such changes. In this particular case, this Questions from Readers article announces the most sweeping reforms to the Watchtower’s Blood Policy in over three decades. In one fell swoop, Jehovah’s Witnesses may now freely elect to use not only plasma proteins but also all other blood fractions. This change accomplished at least two things. One it deflected criticism from AJWRB regarding the inconsistency of the plasma policy and it opened the door to the use of the single largest component of blood – hemoglobin. A necessary step to permit oxygen carrying based blood substitutes that are made from Hemoglobin like Hemopure. These products even now remain under development. Their use has been fraught with difficulty and complications. One thing remains clear, however. This landmark change in the policy of the Watchtower Society now permits 100% of blood. Everything may be used if it is fractionated. As one examines the ever-changing doctrines of the Watchtower regarding vaccines, organ transplants, blood serums, blood fractions, hemophiliac treatments, albumin, and storage of blood outside the body. It is only reasonable to wonder whether Jehovah God changed his mind so many times, or whether we are simply dealing with the befuddled policies of a group of men who know very little about science or medicine. It is up to you to decide whether you personally can accept such a claim based upon the available evidence. It seems that there has been so many changes of thought from the G.B. of Watchtower regarding blood transfusions, organ transplants etc.that how can j.w.s keep up with all these changes? Understandings what fractions of blood are allowed when facing a case where blood is needed is very confusing in of itself, then along side that are what steps where blood plays a key factor is one allowed in cases of heart surgery,blood diseases etc.God never changes, therefore is it logical to believe that seven human men hold innocent lives in their hands when they change their minds one year to the next? I am sorry to think that you are expressing your opinions on vaccinations with faulty and/or imaginary research. This is misleading and could needlessly result in illness or death for great number of people. We can actually prove anything we want with research.The opinions and research I have seen and read point out that the practice of vaccination is positive and successful by a very large percentage. I believe that vaccinations are modern day miracles and have prevented untold illnesses and deaths. The Watchtower banned the use of vaccines until 1952. It was a silly position with no scriptural basis. watchtower is so lost on the blood issue and it would not matter what was said to them its like talking to a wall . watchtower medical directive forbidden White blood cells, red cells .plasma, platelets and whole blood . Cows milk is full of white blood cells yet they drink it and god said milk is good so who is right or wrong regarding blood , gods channel or Jehovah ? Could it be that all the people who were disfellowshipped or excommunicated from this religion for vaccinating and or taking blood or eating blood be what contributed to the apostasy? The ‘falling off’ if the greater number?